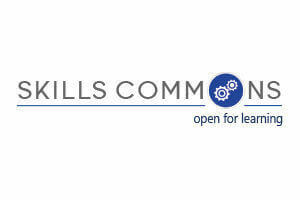 Monarch Media is pleased to announce its selection as one of the technology partners for SkillsCommons, a free and open digital library of Workforce Training Materials. Part of the partnership includes a “makeover” of existing OERs that are stored in the SkillsCommons library. You can visit the webinar recording for a demonstration on how we redesigned a resource and made it engaging and easy-to-use, in a quick and cost-effective manner. A video walkthrough of the makeover is available here https://www.youtube.com/watch?v=LT0dn6Cmepk. For more information on how we can help you with makeovers of your learning materials or resources, contact us at info@nullmonarchmedia.com or 831-457-4414. SkillsCommons: It is the largest repository of free and open workforce training materials, designed and managed by the California State University and its MERLOT program for the Department of Labor’s TAACCCT initiative. TAACCCT: The U.S. Department of Labor’s Trade Adjustment Assistance Community College and Career Training (TAACCCT) grant program aims to help community colleges to address the challenges of today’s workforce. Grants are designed for building course materials to help workers earn industry recognized skills.